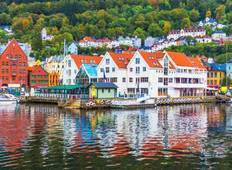 Find a Discovery trip that explores Denmark, Norway And Sweden. There are 45 tours to choose from, that range in length from 7 days up to 28 days. The most popular month for these tours is August, which has the most tour departures. "Other than the Grieg tour other options excellent, forget the Grieg tour." "The whole trip was very good the guide was excellent"
"Had a FAB time, loved seeing all 3 countries!" 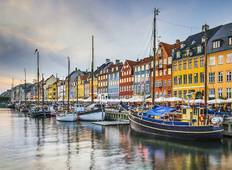 "Excellent guide and made the journey enjoyable and very pleasant"
"I honestly had no idea what to expect when starting the Scandi Express tour. I was..."
"An amazing trip from start to finish with incredible company and an even more incredible..."
"Shea's personality and excitement made the tour what it was. Her genuine love for..."